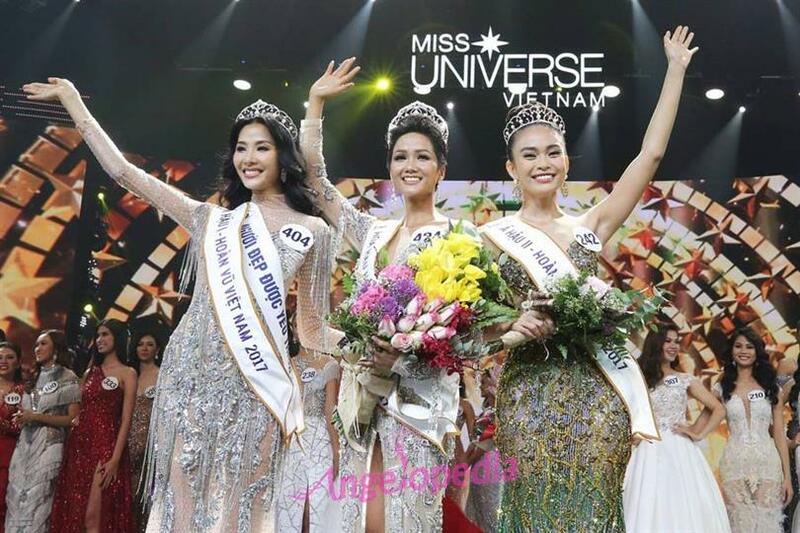 H'Hen Nie (H'hen Niê) from Dak Lak province was crowned Miss Universe Vietnam 2017 at the conclusion of the finale night that took place at Crown Center, Diamond Bay in Nha Trang, Vietnam. Nguyen Thi Loan Miss Universe Vietnam 2016 crowned the winner of the night. She will now go on to represent Vietnam in Miss Universe 2018. H'Hen Niê, the 25-year-old beauty is a professional model. She describes herself as, ’flexible, transformative and colourful in the field of art.’ As a modern woman, H'Hen Niê wishes to establish herself with professional style to become more confident and mature. Standing 172 cm tall, H'Hen Niê is the first ever short-haired girl to win the contest. She was also part of our Top Favourites and Best in Evening gown. Mau Thi Thanh Thuy - Mau Thi Thanh Thuy mentioned how she is currently involved in a project that provides clothes for the children in North mountain area and even if she doesn’t become the winner, she would continue to be affiliated with the project. Hoang Thi Thuy - Hoang talked about how education is so important and how she wants to open a school for children is very interested in the issue of education.